March on Washington 50th anniversary in DC next week! I just realized I’ll be in Washington DC next week during lots of interesting events to mark the 50th Anniversary of the March on Washington – including a speech by President Obama on Wednesday (alas, I have business meetings during that event.) I’d also give anything to go to the gospel celebration. See details below!! The 50th anniversary of the March on Washington will bring a host of civil rights-inspired exhibits, itineraries and other experiences, including two commemorative marches, to the nation’s capital this week and next. A commemorative rally along the same route that marchers took in 1963 will take place at the Lincoln Memorial on Saturday, followed by the opening of a Global Freedom Festival on the National Mall. Civil rights activists, including the Rev. Al Sharpton, Martin Luther King III and the family of Emmett Till are expected to attend. On Aug. 28, a March for Jobs and Justice will end with a Let Freedom Ring rally on the National Mall. President Obama is expected to speak from the steps of the Lincoln Memorial as part of the event. In addition to the marches on Aug. 24 and Aug. 28, six museum exhibits are related to the anniversary. – Changing America: The Emancipation Proclamation, 1863 and The March on Washington, 1963, is at the National Museum of American History through Sept. 15. – Make Some Noise: Students and the Civil Rights Movement is a new permanent exhibit at the Newseum. The museum also is showing Civil Rights at 50, a three-year exhibit chronicling the struggle for civil rights from 1963-1965. 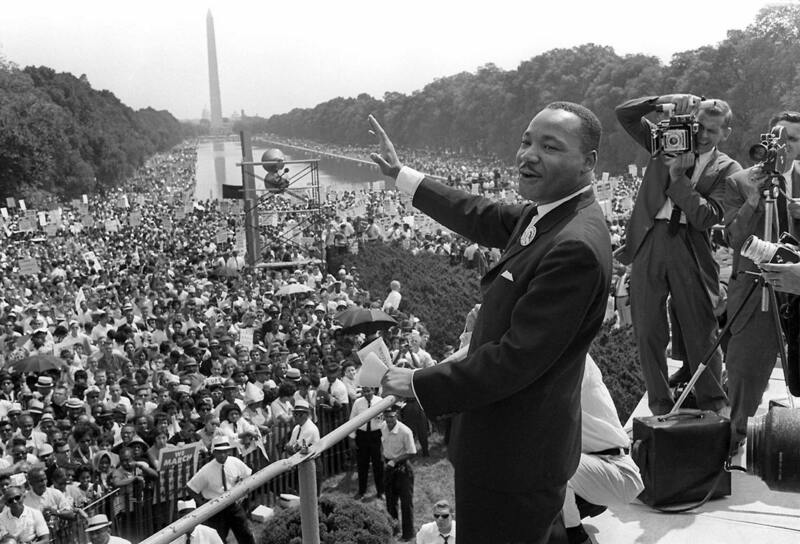 – A Day Like No Other: Commemorating the 50th Anniversary of the March on Washington, a photography exhibit at the Library of Congress is on Aug. 28-March 1, 2014. – American People, Black Light: Faith Ringgold’s Paintings of the 1960s at the National Museum of Women in the Arts explores race inequality in the 1960s and runs through Nov. 10. – And One Life: Martin Luther King Jr., at the National Portrait Gallery through June 1, 2014, traces the civil rights leader’s career.